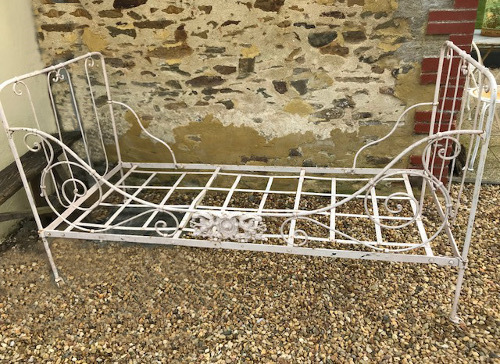 This decorative antique French folding iron day bed dates from around 1900.
colour for a smooth and durable finish or repainted if preferred - please ask for details. 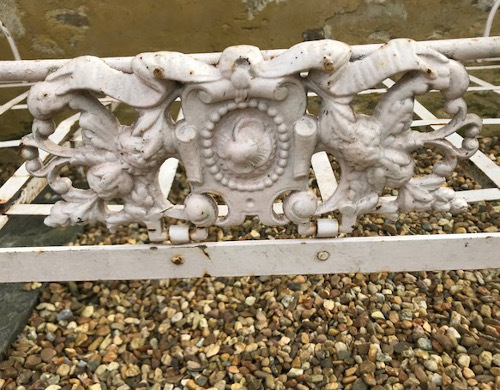 It has curved top decoratively shaped ironwork and a beautiful cast iron plaque to the front. 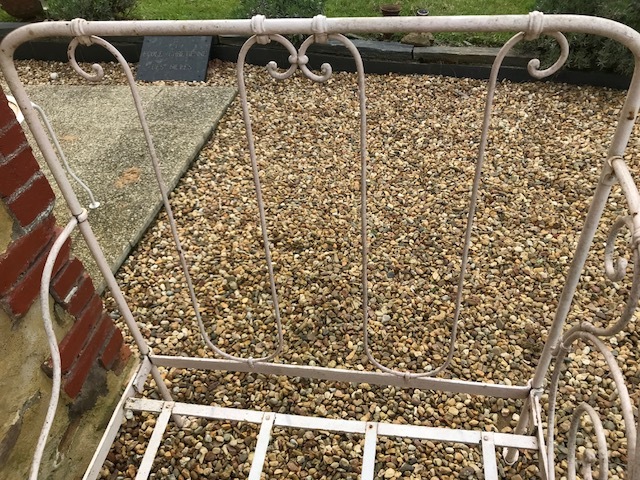 The bed is complete with castors. 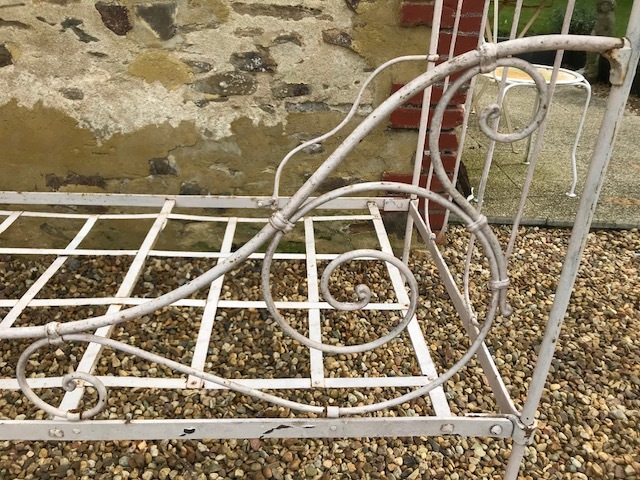 with a few minor knocks and bumps in keeping with its age. Folds completely flat for ease of storage and transport. 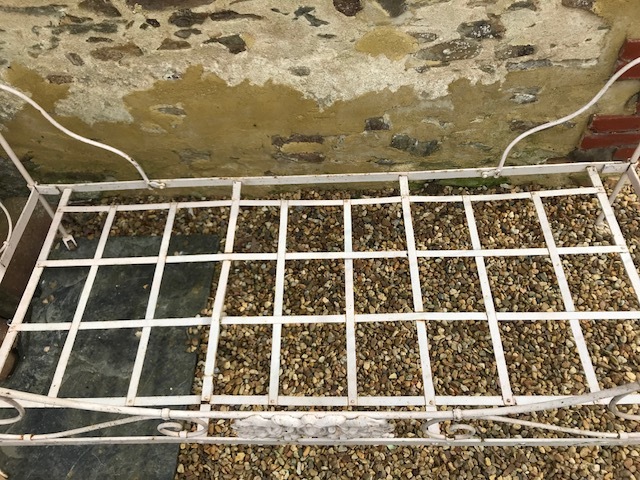 Will require a custom small single mattress (70cm x 170cms) which we can supply. A competitively priced quality branded mattress can be supplied at no extra delivery cost. Delivery to England / Wales mainland £59 for Scotland please email or can be collected.